UPDATED AUGUST 19th 2011: Added another cover image via Design Scene. 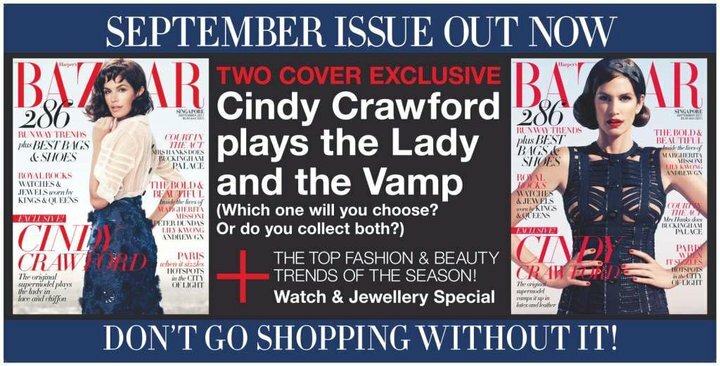 UPDATED AUGUST 17th 2011: Cindy Crawford was photographed by Simon Upton and styled by Kenneth Goh. 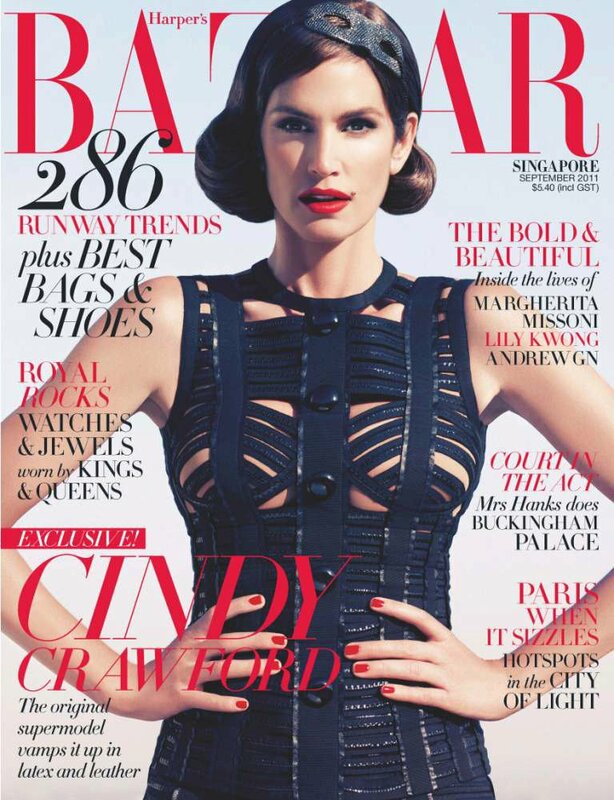 Supermodel Cindy Crawford posed for two covers version of Harper’s Bazaar Singapore September issue!! Click here to view last year’ “leopard” cover. Images via Harper’s Bazaar Singapore Facebook page. 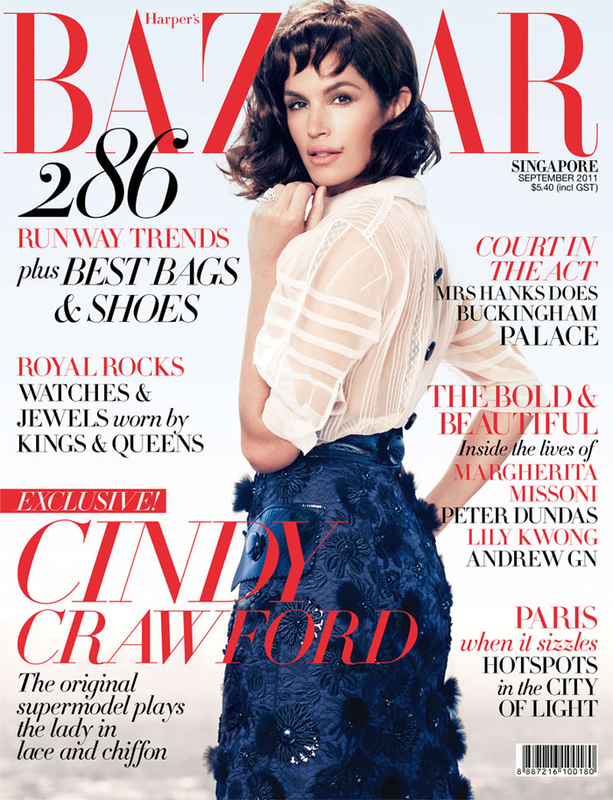 This entry was posted on Tuesday, August 16th, 2011 at 7:12 AM	and tagged with Cindy Crawford, Harper's Bazaar Singapore, Kenneth Goh, Simon Upton and posted in Actors and Actresses, Cover, Magazine, Models, Photographers, Stylist. You can follow any responses to this entry through the RSS 2.0 feed.